About - Pure Thoughts Horse Rescue, Inc.
We work hard to make sure each horse is given the proper care and so much love. Volunteers are the heart and soul of this organization and without their support, we're not sure how this rescue would even function. Equine welfare is the primary concern here at Pure Thoughts. Our mission is based on the realization that we, as a nation, have depended on these horses for centuries and must take responsibility for their lives. Horses give us their heart and soul whether through work, sport, entertainment, or recreation. To use a horse only as long as it fulfills our needs, then to subject it to physical and/or mental abuse and subsequent death, is a violation of that horse as a living being as well as a violation of our ethical and moral compass. We've dedicated the past decade to helping change the lives of horses who were bound for grave endings. Our work may not change the world, but it will make a difference in how animal welfare is viewed and fought for in the future. Please help us continue this fight against cruelty. Please consider coming out to meet the horses and volunteer your time. We promise the experience is beyond rewarding. 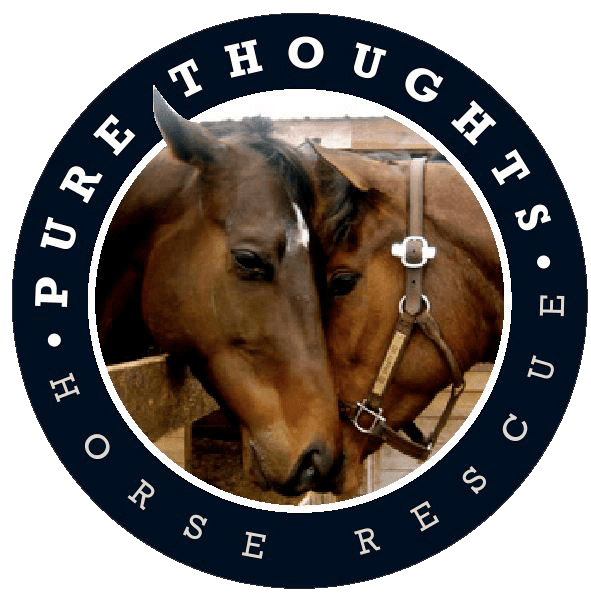 Pure Thoughts Inc. is an all volunteer 501c3 non-profit organization dedicated to saving the lives of horses, yearlings and foals that were bound for slaughter, victims of starvation, neglect, abandonment and abuse. To date, Pure Thoughts Inc has helped over 1600 horses. Horses, yearlings and foals bound for slaughter would have been brutally tortured and slaughtered so that they could be served as a delicacy in foreign countries. Horse Welfare is the primary concern at Pure Thoughts. Our mission is based on the realization that we, as a nation, have domesticated these horses and must take responsibility for their lives. Horses give to us their heart and soul, whether for work, sport, entertainment or recreation, the horse only knows to give. To use a horse only as long as it fulfills our needs, then subject it to physical and/or mental abuse and subsequent death, whether on the slaughterhouse floor, abandoned in a field no longer being cared for, or even in a stall no longer being provided its’ physical needs is a violation of that horse’s right; Rights that only we can supply the horse, after all we have domesticated them. 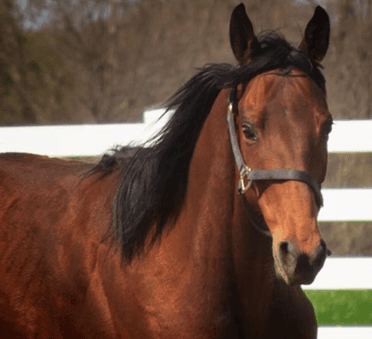 Pictured above is "Yo Coltrane" an OTTB who was over raced and injured and found himself at the rescue. Fortunately, Coltrane was adopted just a few months after arrival and is now a wonderful trail horse. If you're contemplating purchasing a horse, please consider adopting a rescue horse. We have many different breeds, with different disciplines that are looking for a forever home. 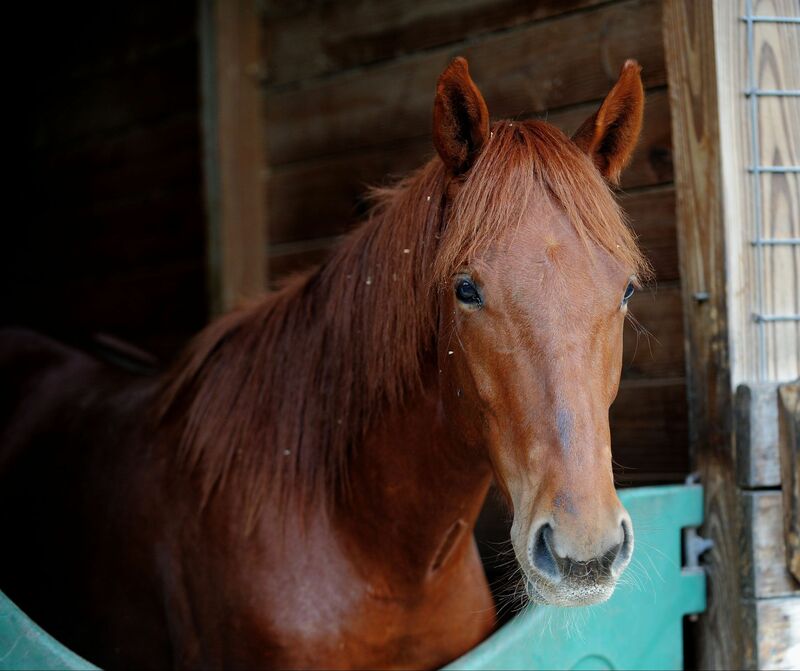 You can find all our horses that are for adoption here! If you would like to come out and meet some of our horses, please give us a call! Donating is more than just time or money, it's peace of mind. Your donation goes a very long way and is appreciated beyond words.